From former steelworkers, BYU professors and students learn the high social and personal costs of blue-collar job loss. 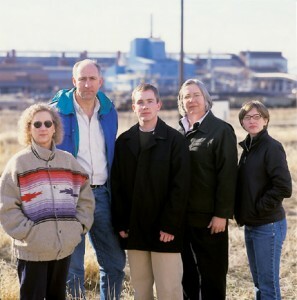 Brock B. O’Neil, ’04, and Elizabeth M. Legerski, ’02, were two of six students who helped BYU faculty researchers Carol Ward, Ralph Brown, and Marie Cornwall understand how Geneva Steel’s closure has affected its former steelworkers and the community. Photo by Bradley Slade. A month before Christmas in 2001, 1,200 steelworkers emptied their lockers at Geneva Steel in Vineyard, Utah, and left the sprawling plant for the last time. They joined some 1,350 former Geneva Steel employees who had been laid off since 1997, as the mill struggled to remain solvent in a weakened market flooded with cheap foreign imports. They knew the mill’s total closure was likely coming, but still they hoped the company’s fortunes would rebound and they could be rehired. When that hope was crushed, few anticipated the depth and breadth of the struggle that lay ahead. As millions of manufacturing jobs disappear throughout the United States, Geneva Steel’s closing offers a microcosm of what can happen to individuals when a major blue-collar employer closes its doors. BYU sociology professor Marie Cornwall, ’76, and associate professors Ralph B. Brown and Carol J. Ward, with substantial help from students, are studying the steelworkers’ experience from many angles, including reemployment prospects, financial status, and marital, physical, and mental health. 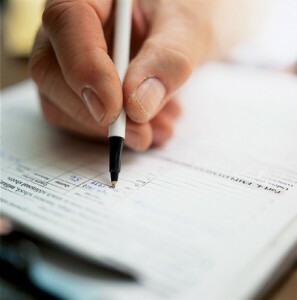 Two surveys to which 600 steelworkers responded in June 2002 and another 600 in June 2003 show that the costs are high. The team also surveyed other Utah Valley residents to create a control group, and the disparity in life challenges between steelworkers and the rest of the community are striking. In August 2003, more than a year and a half after the plant closure, the unemployment rate was 4.2 percent for Utah Valley but 25.4 percent for former Geneva steelworkers. Steelworkers were seven times more likely to be in serious financial difficulty, four times more likely to have lost their homes, and seven times more likely to say they were unhappy. Some 15 percent of steelworkers said they had recently contemplated suicide. The reseachers say many people don’t realize that now the steelworkers’ relatively high-wage blue-collar jobs are gone, very few of the workers have realistic hope of finding a job with a living wage. While working at Geneva, they were able to buy homes and support families, but the typical $6- to $10-an-hour service-sector and blue-collar jobs now available won’t sustain their modest middle-class standard of living. The researchers sent out their first survey in June 2002, six months after these workers had been laid off. When they sent out the second survey a year later, they were able to track how life was changing for 350 steelworkers. Of those 350, they chose 66 for in-depth interviews, conducted by pairs of students. They also interviewed 30 spouses of Geneva steelworkers. While the surveys offer quantitative information, the interviews yield rich qualitative information that puts a human face on the statistics. More than a year and a half after Geneva Steel’s closure, the unemployment rate was 25.4 percent for the former steelworkers. The researchers hope their studies can help other communities prepare for the social costs of permanently losing living-wage blue-collar jobs, though they have had few inquiries. With the possibility that other area blue-collar employers will close in the next few years, terminating 5,000 blue-collar jobs, they hope leaders will pay attention to their research and anticipate the impact on their communities. Union leaders at blue-collar companies have expressed interest, but so far management and community leaders have not. With this research in hand, policymakers could ease the devastating results of mass job loss, say the researchers. They argue, for example, that the Training Adjustment Act needs retooling. It was designed to help people like the Geneva steelworkers retrain for new careers, but the researchers say their findings show that the criteria for being accepted are too strict and the options too limited. Policymakers might also consider better health-care insurance for those who are retraining and tax breaks for those who are forced to withdraw retirement funds to survive. For Utah Valley, whose residents largely embrace values that include an emphasis on stay-at-home mothers, Cornwall believes a valuable lesson from their research is the importance of attracting new jobs that allow breadwinners to make a living wage, not the $8-an-hour jobs becoming more and more common in the area. While the research findings aren’t heartening for the steelworkers, the research process has been a rich experience for the professors and their students. Cornwall, Brown, and Ward, have involved two graduate students and six undergraduates at a level of intensity and depth unusual for students, especially undergraduates. The students helped design the questionnaires, conducted all interviews, and are analyzing the data. All six undergraduates will present papers on the Geneva research at an international conference this spring. Cornwall, Brown, Ward, and their students hope people will draw not only policy lessons from their research, but also human lessons. They’d like their research to raise people’s consciousness about the suffering of people like the steelworkers.